Three-dimensional printing, also known as additive manufacturing, is a method of creating an object by precisely depositing material in layers according to the specifications of a computer model. Early 3D printers adapted conventional inkjet printer technology to create simple plastic objects. However, current 3D-printing technology is much more sophisticated. Applications for 3D printers range from rapid prototyping to food processing to consumer products. Advances in 3D bioprinting have led to novel applications in surgery, personalized medicine, diagnostics, and drug discovery. The Bioprinting and 3D Printing in the Life Sciences Europe Conference in October 2017 gathered innovators in the 3D-printing space to share the latest advances in bioscience and medical applications—and we cover them here. 3D printing has the potential to transform a very familiar item—a tablet of medicine—into a bespoke medication tailored to an individual patient. 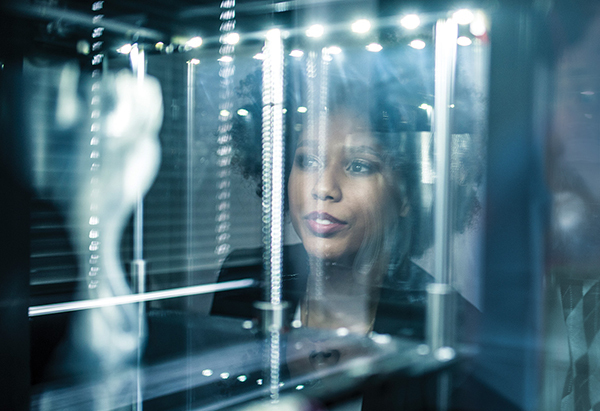 Clive Roberts, Ph.D., professor of pharmaceutical nanotechnology at University of Nottingham, U.K., wants to use 3D printing to transform the way clinicians prescribe some medicines. In his keynote presentation, “3D Printing Manufacture of Medicines,” Dr. Roberts outlines a vision of a different kind of pharmacy operating around a 3D printer. “Imagine a circle where a clinician would interact with a patient, then decide what the personalized medicine requirements are for the patient. A computer model would work out the dosage and tablet structure required, and the 3D printer would make the tablet,” said Dr. Roberts. The circle would be complete when the patient takes the medication and their response is used to adjust the dosage. Dr. Roberts said this concept resembles the role of compounding pharmacies, and from a legal and regulatory perspective, could operate in a similar fashion. One company, Aprecia Pharmaceuticals, is already using 3D-printing technology to make medicines. Aprecia’s ZipDose® platform produces a tablet by depositing a powder blend containing the drug in a layer. Then, an aqueous binding fluid is applied over the powder, forming a solid tablet that dissolves very easily, for patients who have difficulty swallowing. Dr. Roberts said that his group has demonstrated successful formulation of drug tablets using 3D extrusion and inkjet-based printing. In a 2015 article in International Journal of Pharmaceutics, he describes the creation of 3D printed tablets for the drug captopril and a combination of nifedipine and glipizide.1 An osmotic pump was incorporated into the captopril tablet, and the nifedipine/glipizide tablet was printed with sustained-release compartments. According to Dr. Roberts, 3D-printed tablets can be very complex, presenting exciting opportunities for formulation. “There is essentially no solid formulation that can’t be reproduced in some fashion,” he said. In vitro systems that can reproduce the functionality of human organs have been the subject of research and development efforts in biotechnology for many years. These systems have the potential to streamline drug development and eliminate or minimize animal testing. In his keynote presentation, “Building Phenotypic Body-on-a-chip Models for Toxicological and Efficacy Evaluations in Drug Discovery as Well as Precision Medicine,” James Hickman, Ph.D., a professor at the University of Central Florida, outlined his progress in developing phenotypic body-on-a-chip models for drug development and precision medicine. Dr. Hickman published his first papers on cell printing in 2003–2004,2,3 and has incorporated the technique into current human-on-a-chip protocols. His low-cost gravity-driven flow system for human cardiac, liver, skeletal muscle, and neuronal cells demonstrated survival and continued functionality of all cell types over a 14-day period. Hickman has already been working extensively with L’Oreal—a company that is not allowed to use animals for developing cosmetic products under European Union regulations—to develop body-on-a chip systems for the development of cosmetic products. Dr. Hickman’s presentation addressed how the body-on-a-chip system could be integrated into drug discovery by enabling efficacy and toxicity studies in the same system. “They’re going to lower the cost eventually for drug development. One of the biggest reasons they’ll be able to get the success rate higher [is] by being able to weed out compounds that eventually will be unsuccessful earlier in the process,” said Dr. Hickman. 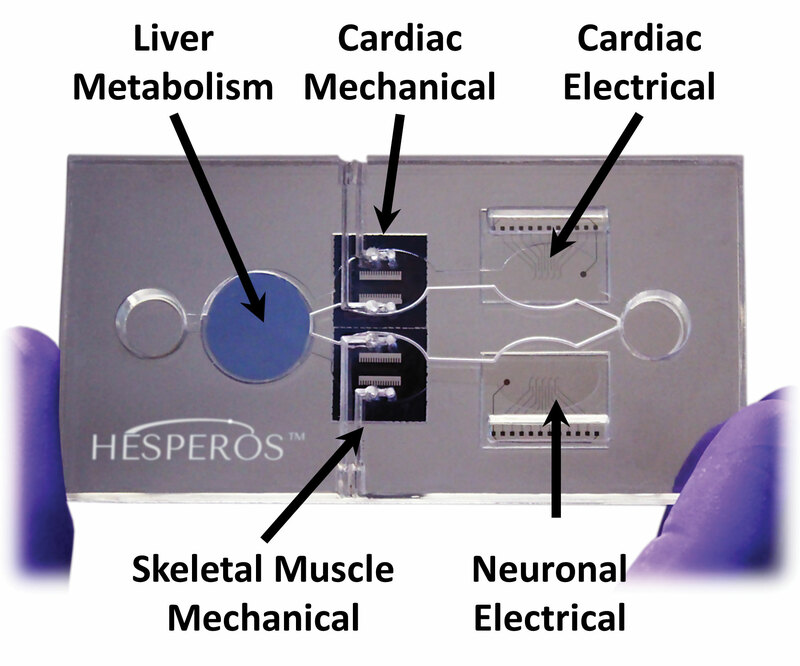 A body-on-a-chip system is illustrated in Figure 1. An often overlooked consideration in 3D printing of cell-based constructs is the phenotype and biological characteristics of the primary cells. In his presentation, “The Importance of Cell Phenotype in 3D Printing,” Ali Mobasheri, D.Phil., a professor at the University of Surrey, U.K., spoke about phenotype in the context of 3D printing cartilage-like tissues. This type of tissue could be used in the near future to engineer transplants for focal defects in damaged joints. Phenotypic appearance of liver, pancreas, and cartilage cells in vivo are shown in Figure 2. According to Dr. Mobasheri, phenotype plays into that technology in two ways. First, the cells have to have the proper phenotype to use in the 3D construct. For example, if the construct will be comprised of bone, the proper phenotype bone cells must be chosen as starting material. Second, the phenotype also must fulfill requirements of immune tolerance and acceptability by the patient. “What you want is cells that could be used to fill that gap, and not be rejected by the patient’s immune system,” said Dr. Mobasheri. A stable phenotype is important in other 3D-printing applications, as well. Dr. Mobasheri said that when 3D printing tissue for drug screening, the phenotype must be correct for the application. For example, if 3D-printed liver tissue is going to be used to screen drugs for a condition like hepatitis or for treating alcohol-induced liver damage, the phenotype of the liver cells used in the construct must replicate the behavior of the living organ. 3D-printing platforms for human skin have attracted a lot of interest for their use as grafts for burns or chronic wounds. Pankaj Karande, Ph.D., associate professor of chemical and biological engineering with the Rensselaer Polytechnic Institute, has developed 3D-printed, vascularized skin grafts that have superior qualities to currently existing grafts. He described some of his results in his presentation, “3D Printing of Full-Thickness Vascularized Human Skin Grafts.” His group has designed the grafts and tested them to treat wounds on mice. According to his research, the vascularized grafts integrated into the wound site better than avascularized grafts. Dr. Karande said that the use of vascularized skin grafts in studies offers many advantages over conventional skin grafts. Because the vascular system is present, processes such as penetration of a drug or toxin into the skin can also be studied. The ink used for printing is a mixture of cells including fibroblasts, epithelial cells, and other components of skin, such as collagen and other matrix molecules. Dr. Karande said it was a challenge developing the right technique to print and grow the skin and vasculature together. The method used was to print cells in three compartments in a layer-by-layer fashion, with the vasculature mapped out. “We had to put a lot of time in[to] fine-tuning and optimizing all of those conditions,” said Dr. Karande. The extracellular matrix is the substance surrounding cells that provides the information needed for organ formation during embryogenesis, and during repair and regeneration. In her presentation, “Biomimetic Collagen-Like Hydrogels: From In Vitro Testing to Regenerative Medicine,” May Griffith, Ph.D., a professor at the University of Montreal, Canada, describes how cell-free hydrogel implants made with recombinant human collagen to mimic the extracellular matrix of the cornea were used successfully in clinical trials to regenerate human corneas. The implants were fabricated using 3D molding. They represent a potential future application of 3D-printing technology, if the printer technology can be improved to achieve sufficient resolution. 1. S.A. Khaled et al., “3D Printing of Tablets Containing Multiple Drugs with Defined Release Profiles,” Int. J. Pharm. 494(2), 643–650 (October 30, 2015). 2. T. Xu et al., “Construction of High-Density Bacterial Colony Arrays and Patterns by the Ink-Jet Method,” Biotechnol Bioeng. 85(1), 29–33 (January 5, 2004). 3. E.A. Roth et al., “Inkjet Printing for High-Throughput Cell Patterning,” Biomaterials 25(17), 3707–3715 (August 2004).